Two people have been confirmed dead in Nebraska after heavy rainfall caused widespread flooding across the state. 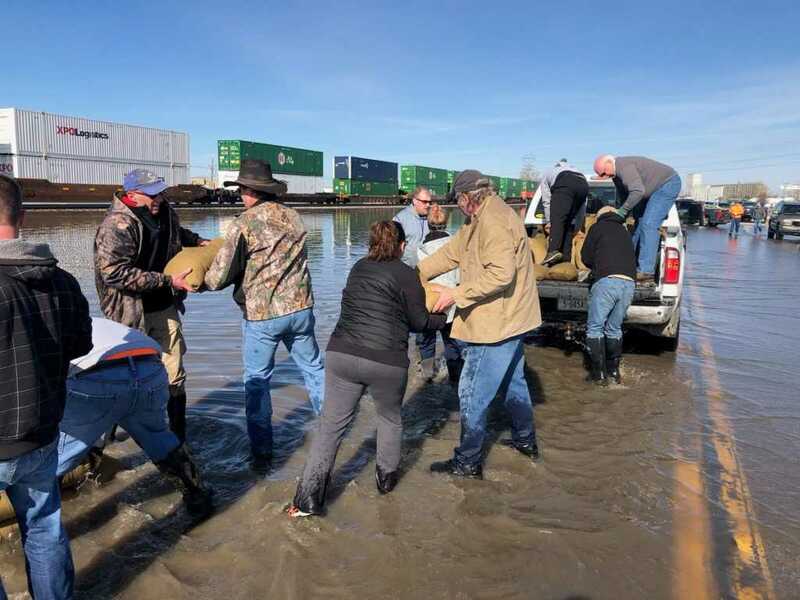 Governor Pete Ricketts has declared a state of emergency in 53 counties, with experts describing it as the worst period of flooding in recent state history. “This is the largest widespread amount of flooding we’ve had in the last half-century,” Ricketts said of the shocking torrent. Witnesses to the horror said that rivers quickly split their banks, and the waters began rising to 25 feet and higher, causing residents to scramble onto their roofs for safety. Rancher Paul Allen was one of those who the dreaded early morning wakeup call to inform him that the Spencer Dam, located five miles up-river from his house, had been “compromised.” There was a raging rapid of frigid water headed his way, and fast. In addition to the deluge of water, enormous ice blocks have caused extensive damage to local homes and businesses. Despite the devastating effects of the floodwater, people from all walks of life have continued to pull together in their time of need. Nebraskan Senator Ben Sasse has been posting regular updates to his Twitter account showing locals assisting with rescue and relief efforts. In an additional update, Sasse shared an image of the Nebraska National Guard flying in giant sandbags to build an island around a pump house in order to keep the water systems intact. James Wilke, a Columbus farmer, died after attempting to assist rescue teams. Jodi L. Hefti, a close family friend, explained on Facebook how Wilke was killed when driving his tractor over a weakened bridge. James and the tractor went down into the floodwater below,” Hefti noted. Wilke, who put his life on the line to help others, has been hailed as a hero. A second man lost his life when he caught up in floodwaters across the state line in Iowa. Aleido Rojas Galan of Norfolk, Nebraska, was discovered “hanging onto trees” when discovered by rescue crews, according to CNN. The Fremont County, Iowa, Sheriff’s Office stated that Galan later died from his injuries. Do continue to keep all those affected in your prayers.